Ours was wonderful. We traveled to our son's home to spend Christmas day with him and his family. 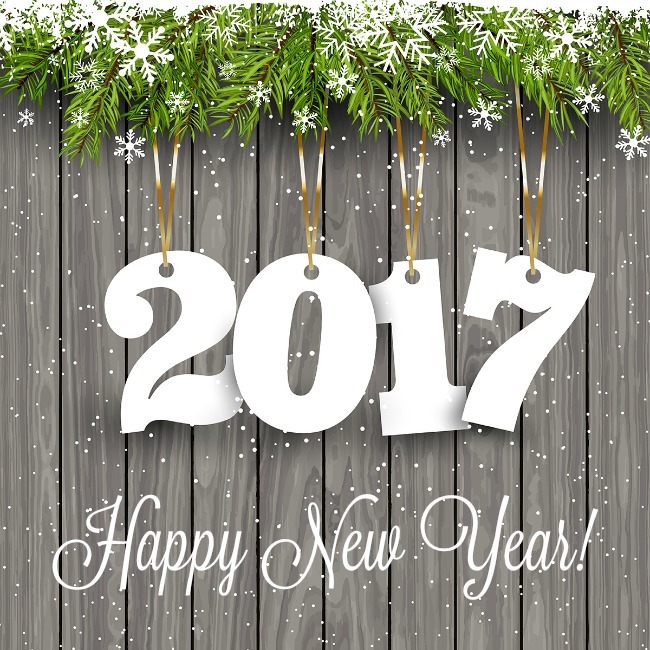 But now is a new week, the week that we say goodbye to 2016 and start a new year. And I just realized this will be the last link party I will be hosting this year. 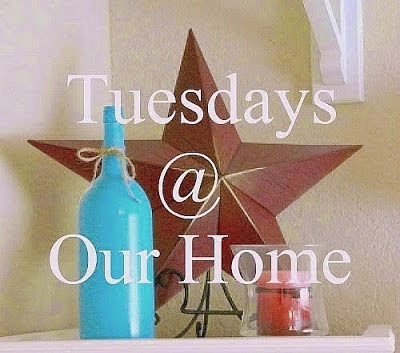 It is amazing to me how much Tuesdays at Our Home has grown and it is all thanks to you, my readers and friends. Now, lets visit some of the wonderful posts from last week. 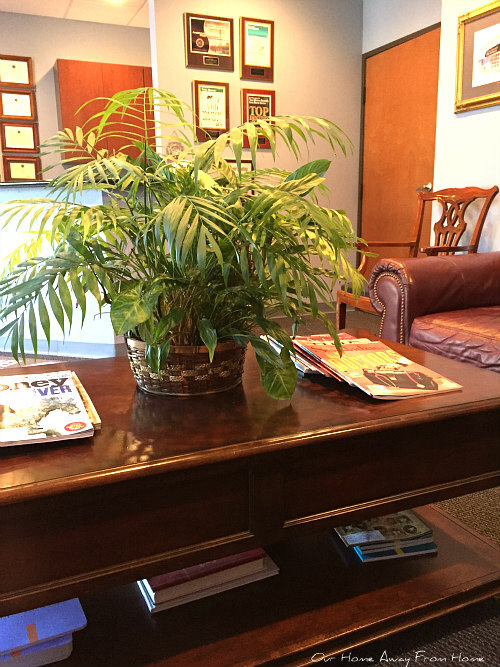 Lauren at Bless'er House gave an old bench a gorgeous new look. 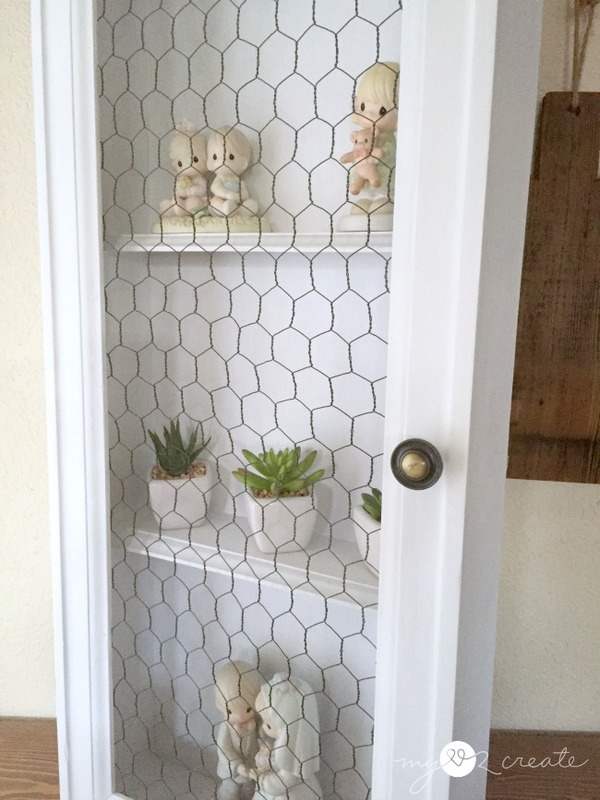 Mindi at My Love 2 Create turned a drawer into a cabinet. 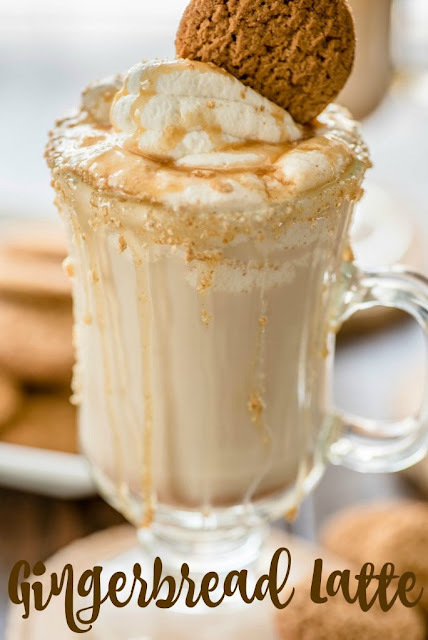 Jordyn at Almost Supermom shared a wonderful recipe for gingerbread latte. 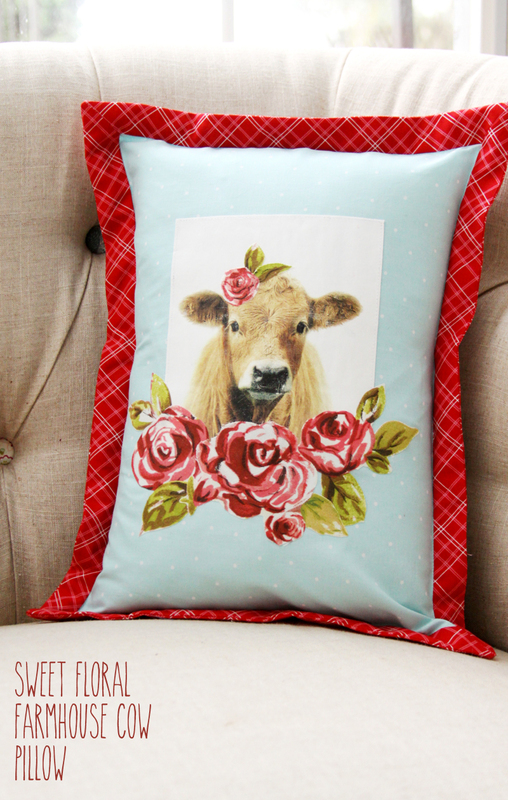 Bev at Flamingo Toes made a beautiful floral farmhouse cow pillow. Ann at Ann's Entitled Life shared a delicious recipe for Butter Tarts. 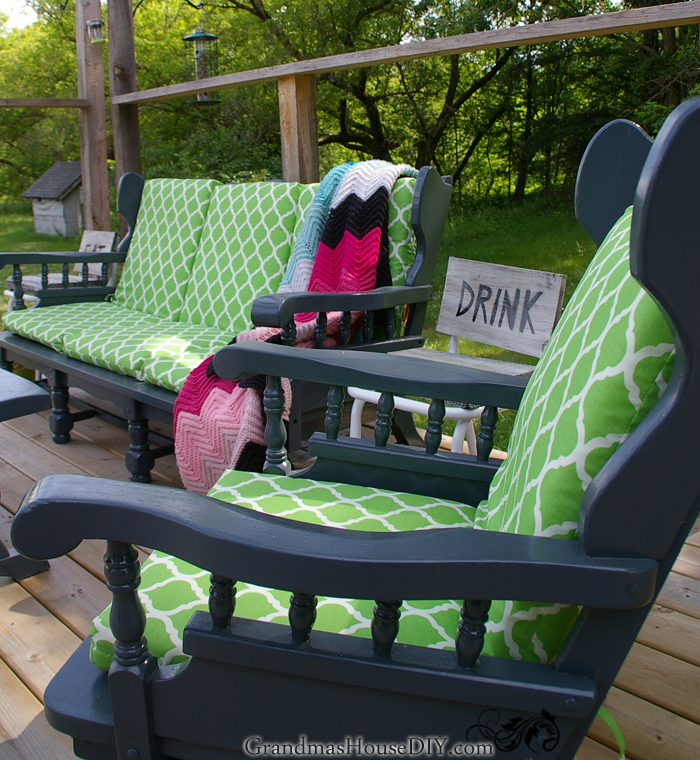 Tarah at Grandma's House DIY turned some old furniture into beautiful outdoor seating set for her deck. This it it, dear friends! Christmas is almost upon us. It is now that wonderful time of the year to celebrate with our family and friends. 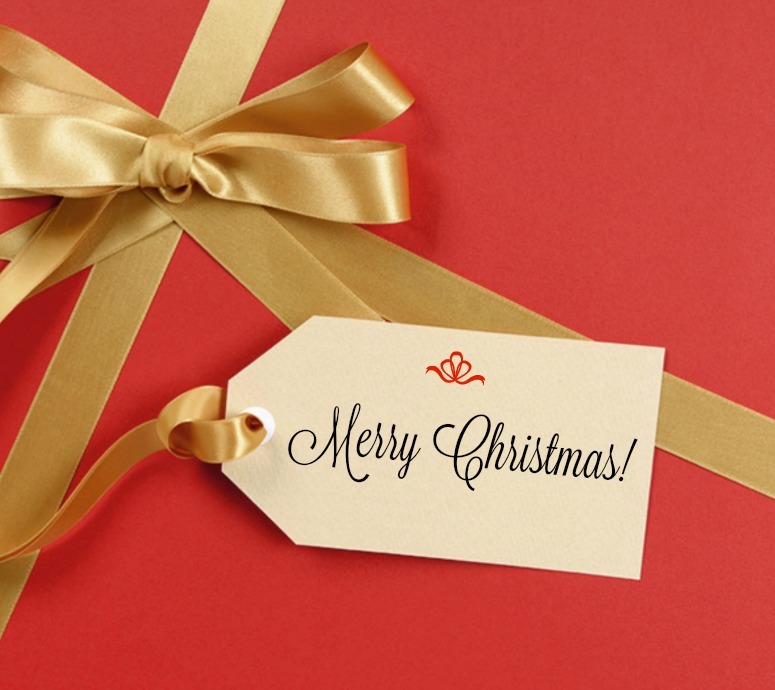 I am ready to enjoy Christmas, gifts are wrapped and under the tree, house is clean and all chores finished, menu is planned and I just have to pick up a couple of last minute things at the grocery store and we will be ready. 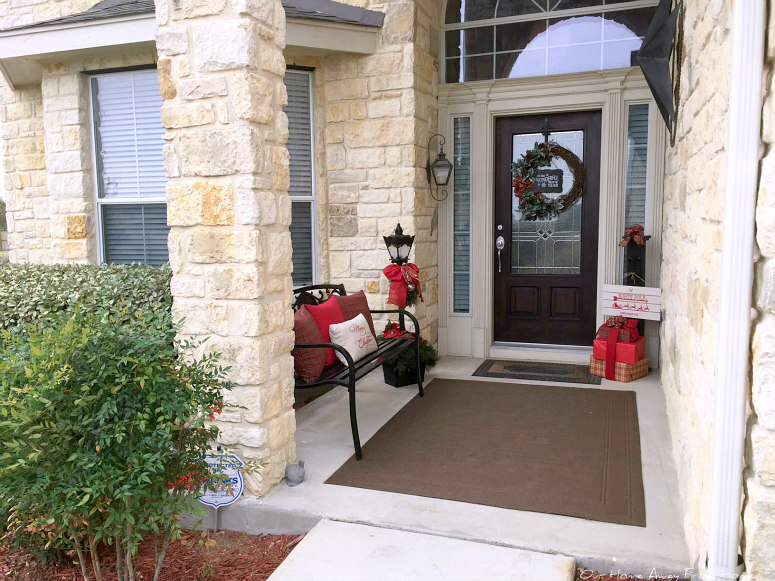 So before is all over, I want to give you a little tour of our home decorated for Christmas. 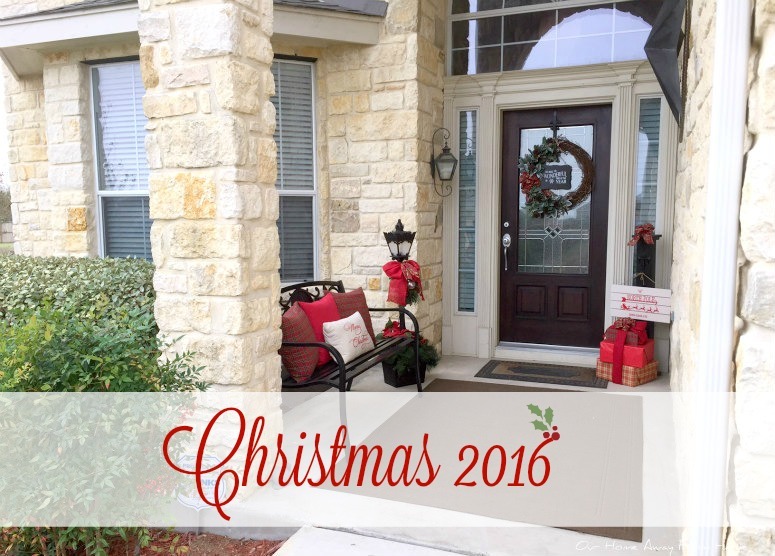 This year the decor is very simple, but it was the best I could do while our home continues getting repaired. 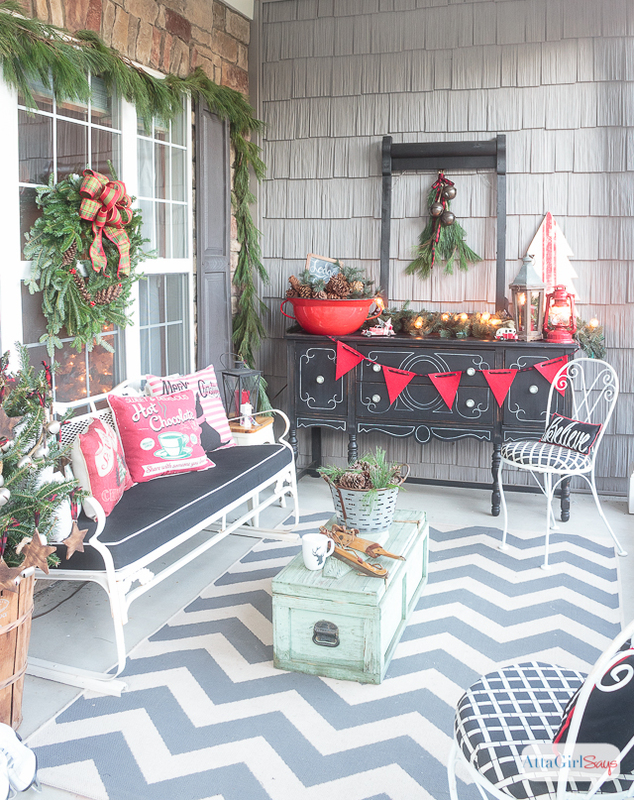 I don't know why it has taken me so long to share with you all our holiday front porch. 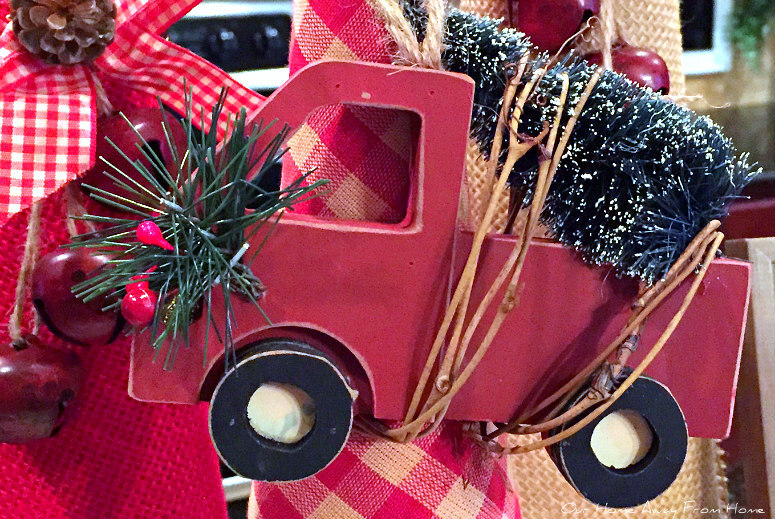 The time to share all our Christmas decor is running out faster than I like. With only four days left for Christmas, I know you guys are running around just like me preparing everything to make our families as happy as we can on this special day of the year. 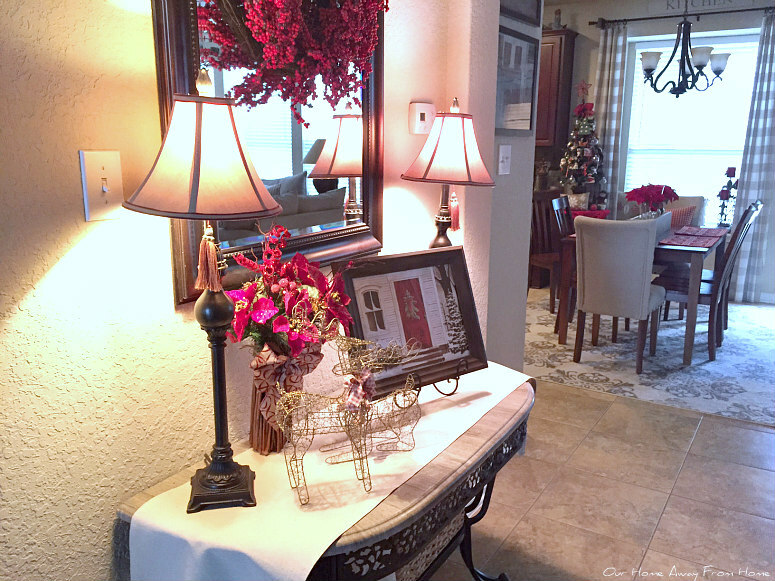 Today I am just sharing a little more of our holiday decor on the table next to the entrance to our kitchen. Thank you all so much for being here today! It is almost Christmas! So exciting! 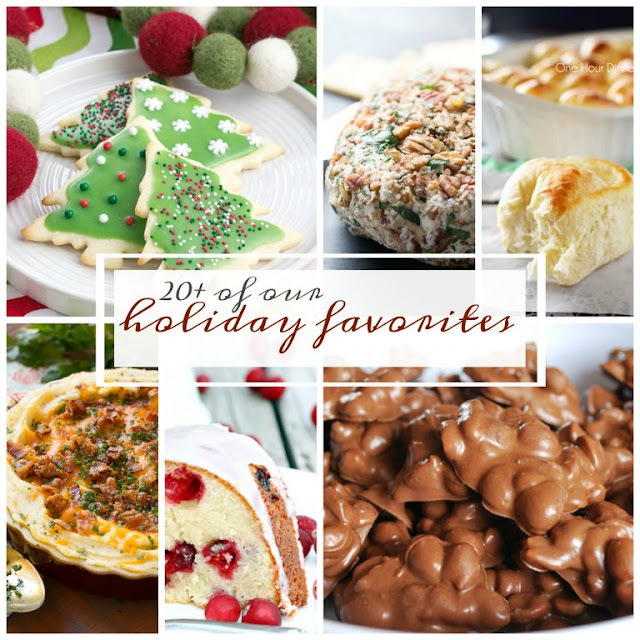 Are you ready for the holidays? It sure feels like December just about all over the country. It is even freezing cold in Texas and that doesn't happen often. All over blogland you can find any last minute inspiration to decorate your homes, prepare yummy recipes for the holidays or set your tables for your holiday entertainment. As another week starts, lets visit some of the wonderful posts that were linked to last week party. 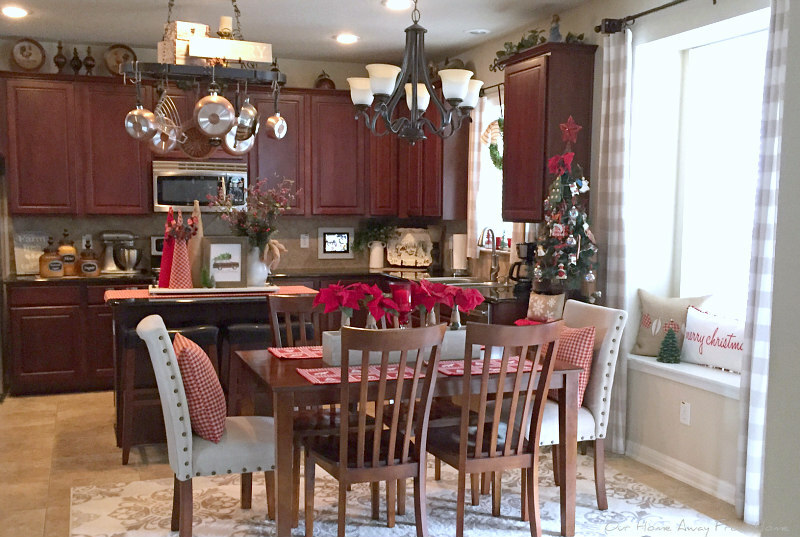 Lori at Dining Delight took us for a tour of her Christmas decorated home. Gorgeous! Courtney at A thoughtful Place decorated her bedroom beautifully for Christmas. 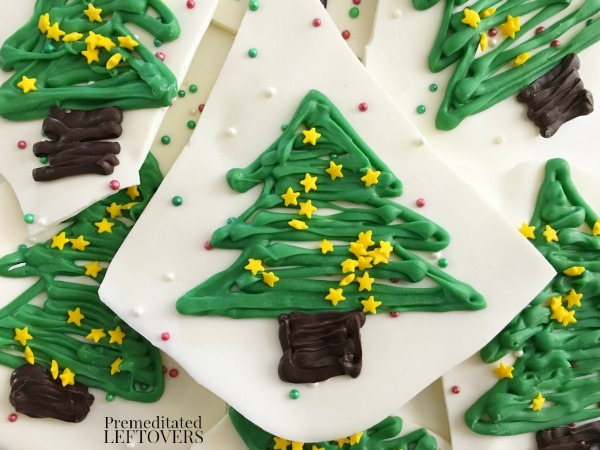 Love this recipe by Premeitated Leftovers for Christmas Tree White Chocolate Bark. 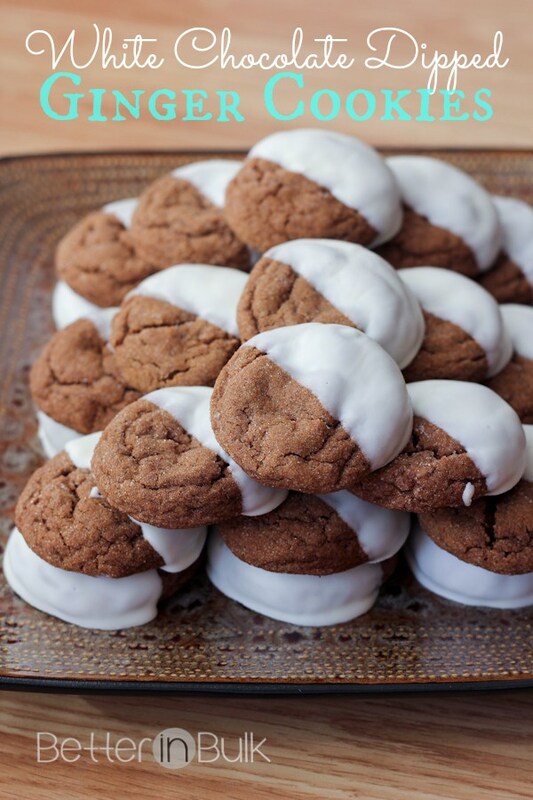 Lolli at Food Fun Family shared a wonderful recipe for White Chocolate Dipped Ginger Cookies. 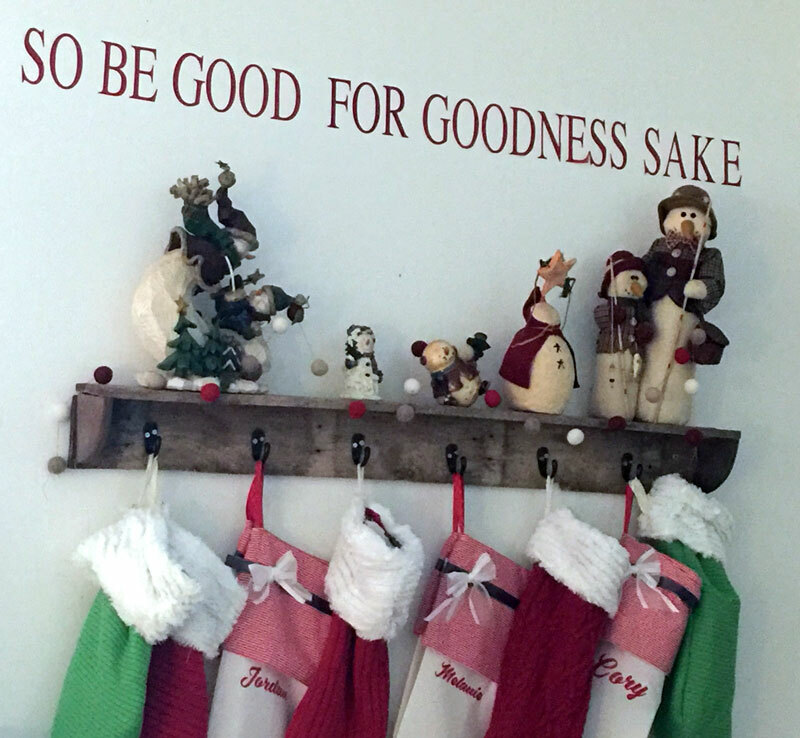 Jeanie at Create & Babble shared a great tutorial on how to make a Christmas Stocking Shelf using salvaged wood. Jenn at Clean & Scentsible. 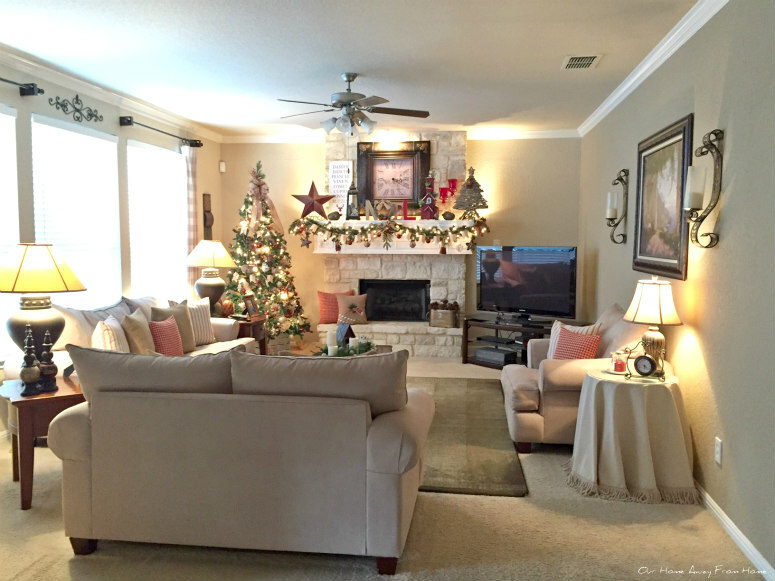 Since I only have just a few more days left to share with you all our Christmas decor and I am so late doing so, today I decided to combine two post in one and take you all for a little tour of our family room and also share our Christmas tree for this year in this same post. 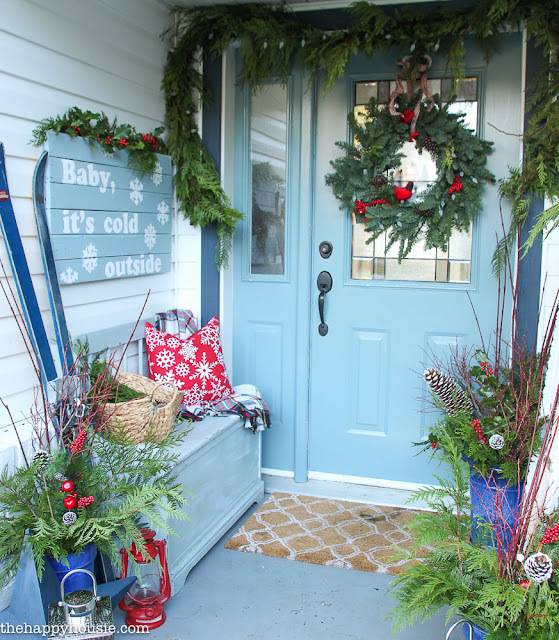 For a while there I had no idea of what kind of wreath I was going to put on our front door for this holiday season. 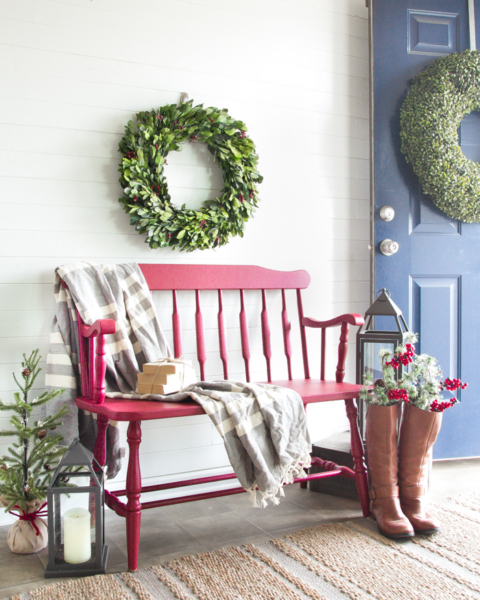 I like to make my own wreath every year, but this time around I wanted something different and I was completely out of ideas until last week, while shopping at Walmart of all places. 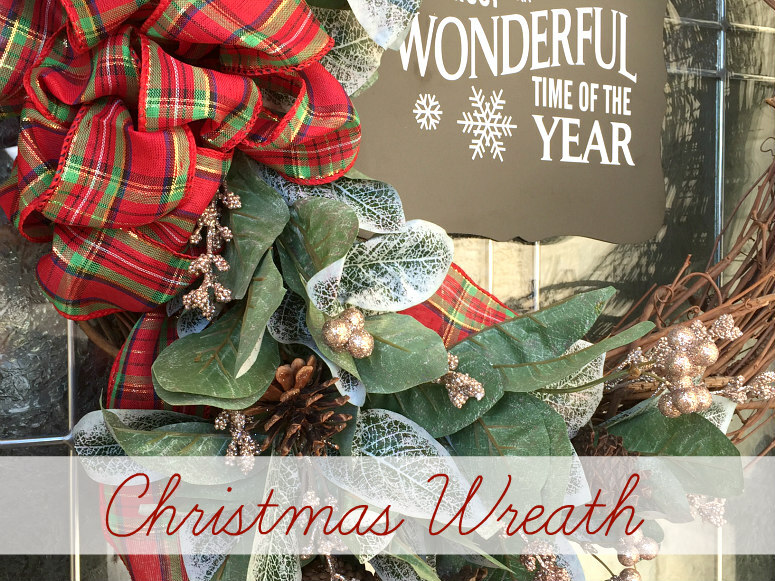 As I start writing this post, I realize that we are only 12 days away from Christmas. Time is flying for us and it really is not a bad thing, the holidays are always difficult for me since I get very homesick. so I try to stay as busy as possible and make this time of the year as good as I can for my husband and kids. So now we move on to celebrate the holidays the best way we can and I am just putting the final touches on the Christmas decor. 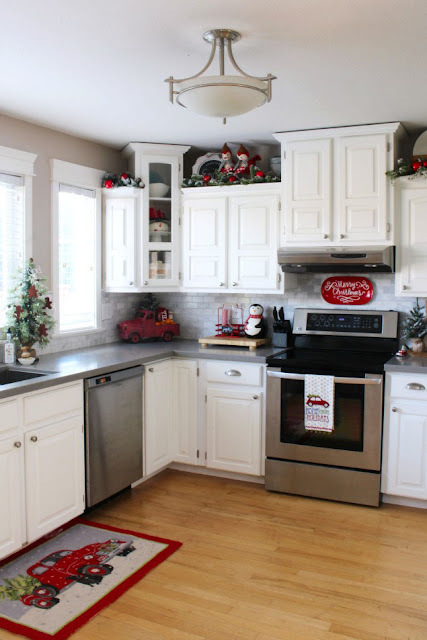 Our family room is decorated in the same rustic theme as our kitchen. I will share it with you as soon as I get all the pictures finished, meanwhile, here is our Christmas mantle. I hope you had a wonderful and restful weekend. Ours was cold and rainy so we pretty much spent some needed quite time at home. And now it is time to start another link party, but before we do that, lets visit some of last week features. Krista at The Happy Housie decorated her front porch and entry hall beautifully. 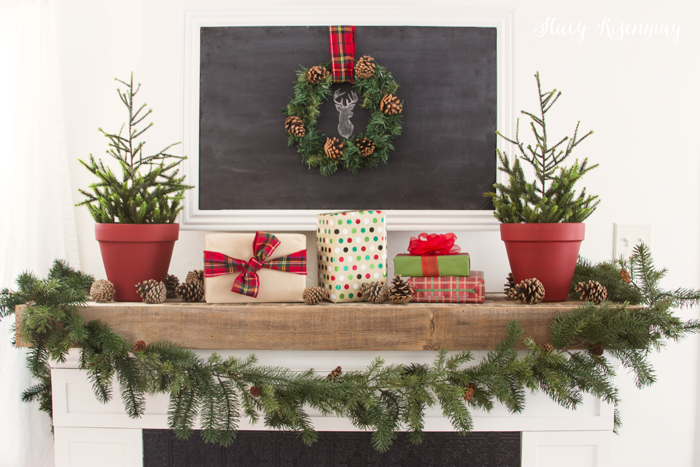 Barb at The Everyday Home shared her gorgeous Plaid Christmas mantle in the dining room. 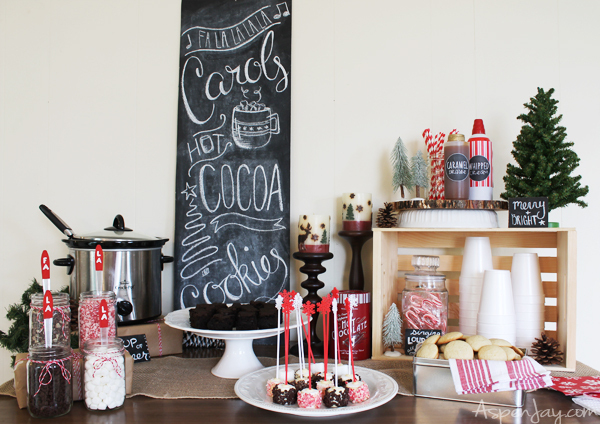 AJ at Aspen Jay created a wonderful hot chocolate bar. Another beautiful porch was shared by Amy at AttaGirl Says. 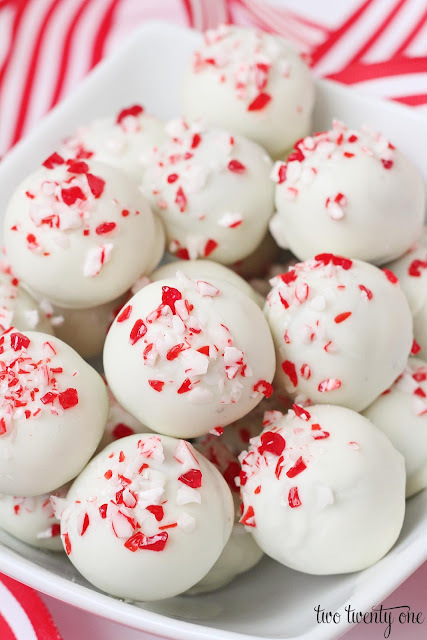 Chelsea at Two Twenty One shared a wonderful and easy to make recipe for Peppermint Oreo Truffles. 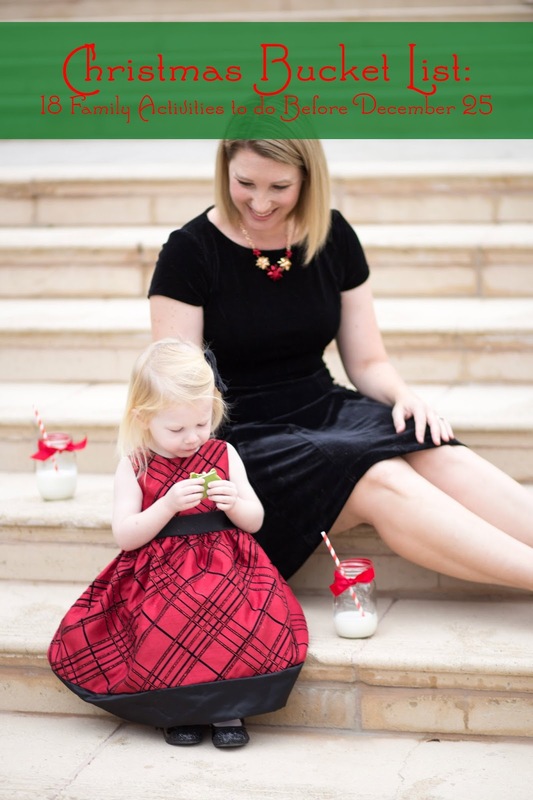 Carly at Lipgloss & Crayons came up with some wonderful ideas for family activities during this holiday season. 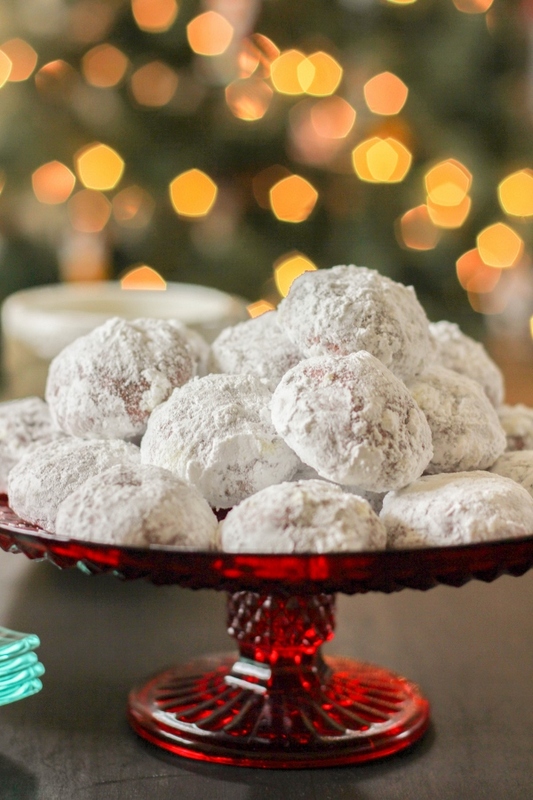 Sarah at The Chef Next Door made Red Velvet Snowballs Christmas Cookies. Kim at The Kim Six Fix showed us how to transfer textured photos on to wood blocks. 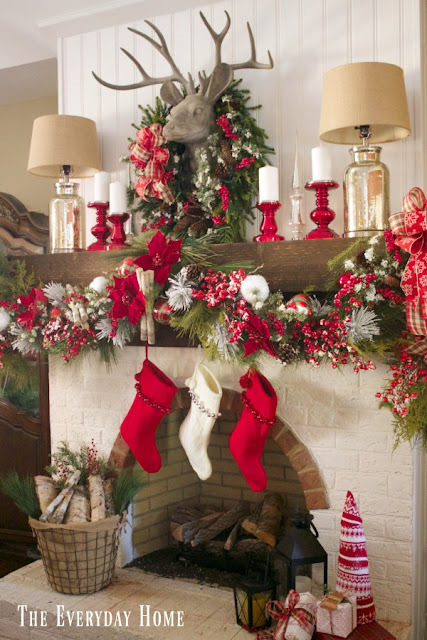 I admire all of you that had your homes beautifully decorated for the holidays by Thanksgiving. I am only decorating a bit this year and it seems to be taking me forever. Come on in and I will show you around. 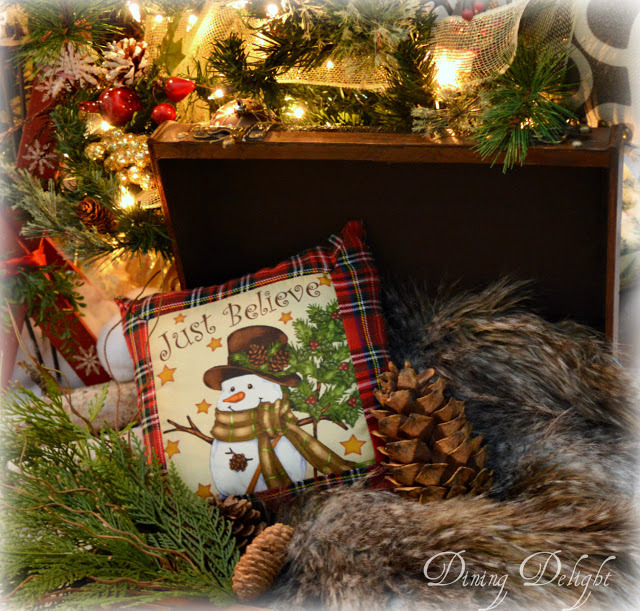 Every year I try to make a cute Christmas pillow to use with my holiday decor. This year, I was just going to buy one due to my crafting time being so limited, but browsing online I came across this pretty pillow and right away I knew I could recreate it very easily. 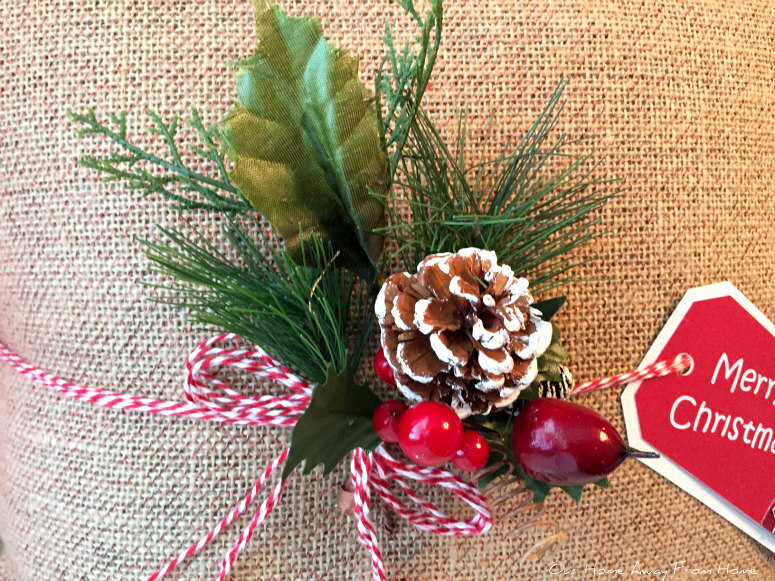 Can you believe it is almost Christmas? Twenty more days! Are you ready for the holidays? I am getting there slowly and hope to be ready on time to enjoy the festivities. 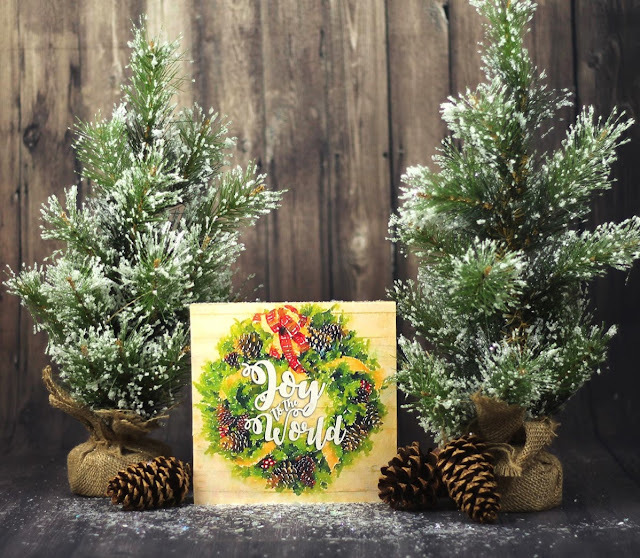 All over blogland you can find beautiful inspiration to decorate your homes, prepare yummy recipes for the holidays or set your tables for your holiday entertainment. 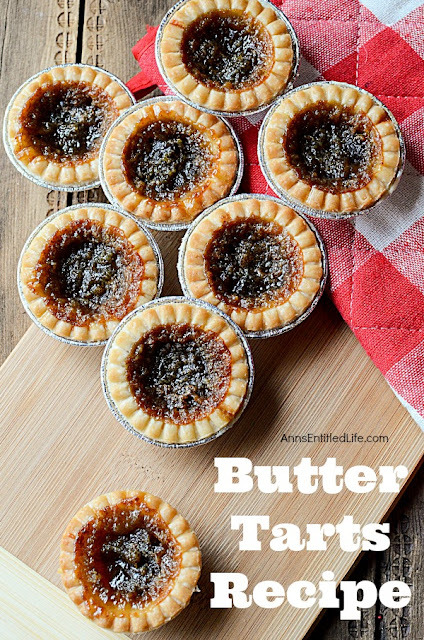 Lets take a look at some of the wonderful posts that were linked last week to Tuesdays at Our Home. 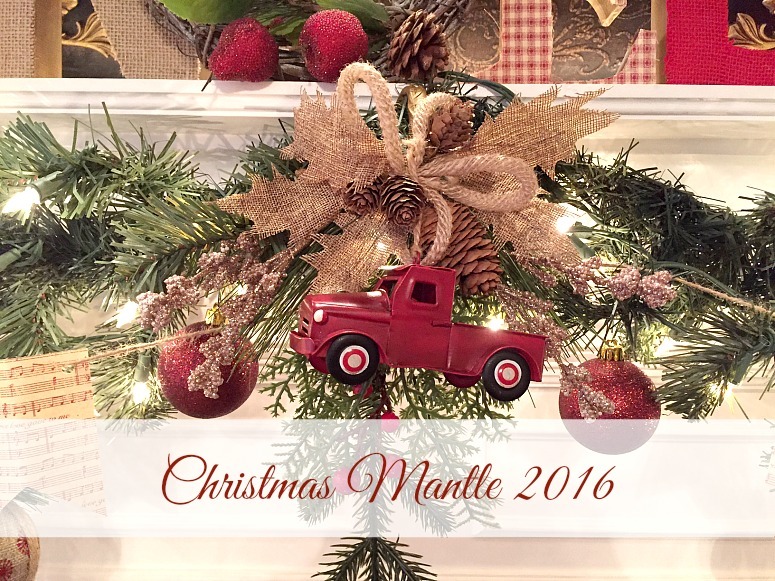 Stacy at Not Just a Housewife put together a beautiful Christmas mantle. 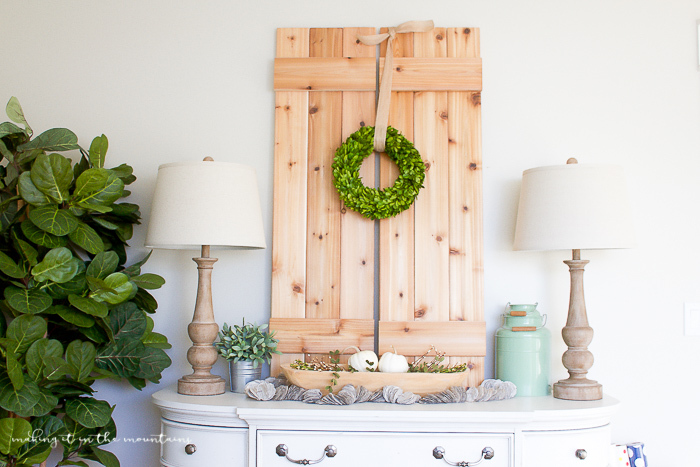 Kelli & Kristi at Lolly Jane built gorgeous cedar shutters and share a great tutorial for you to built your own. 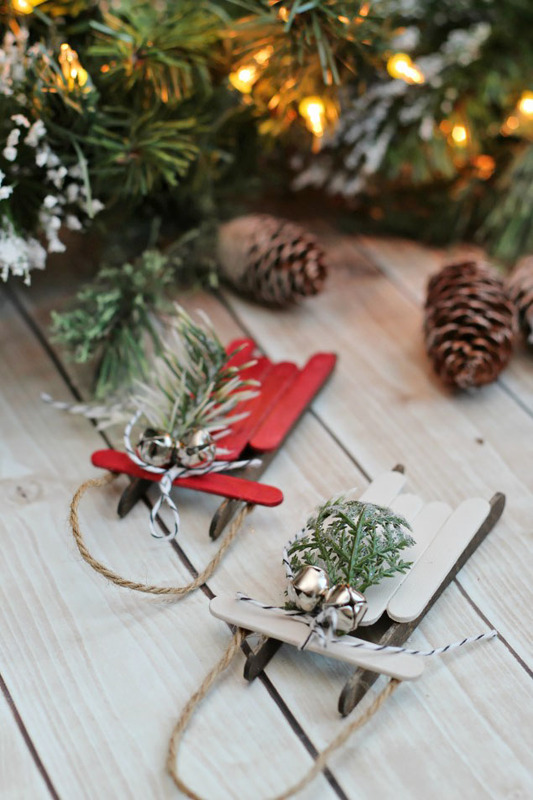 Jenn at Clean & Scentsible made really cute Popsicle Stick Sleds Christmas Ornaments. 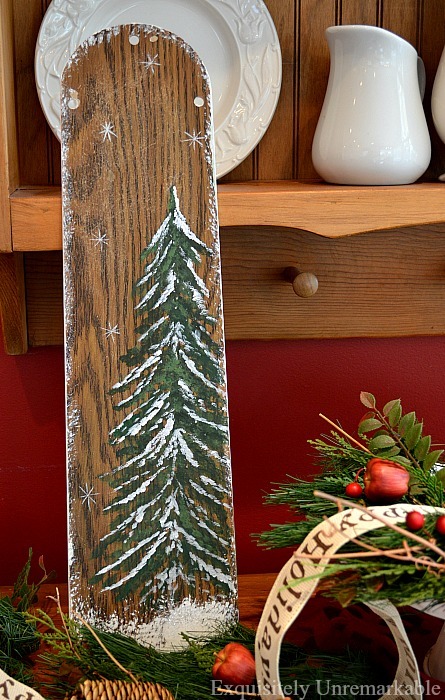 Kim at Exquisitely Unremarkable made beautiful hand painted wooden ceiling fan blades for Christmas. 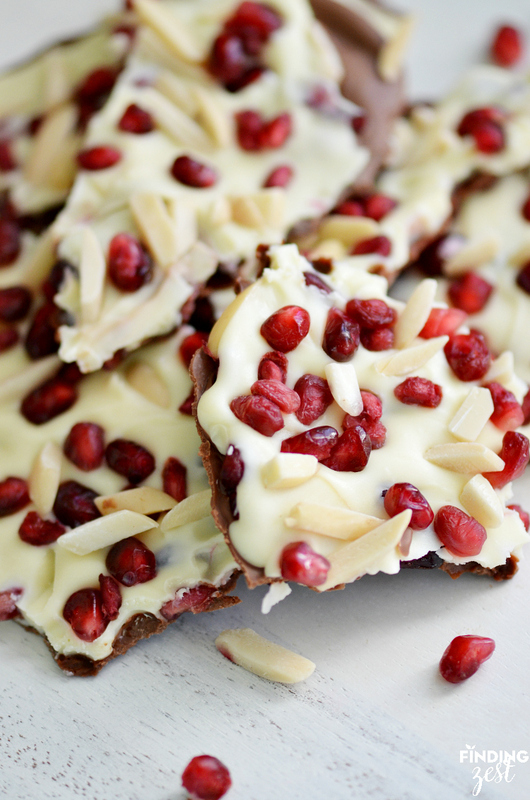 Emilie at Finding Zest shared a wonderful recipe for Pomegranate Almond Chocolate Bark. Shannah at My Suburban Kitchen. 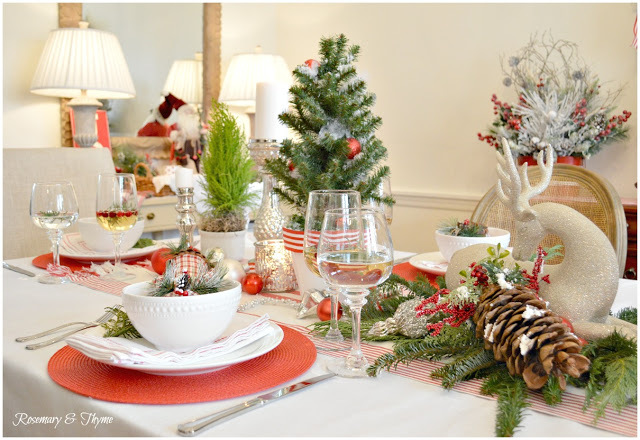 Janet at Rosemary & Thyme created a gorgeous Christmas tablescape. 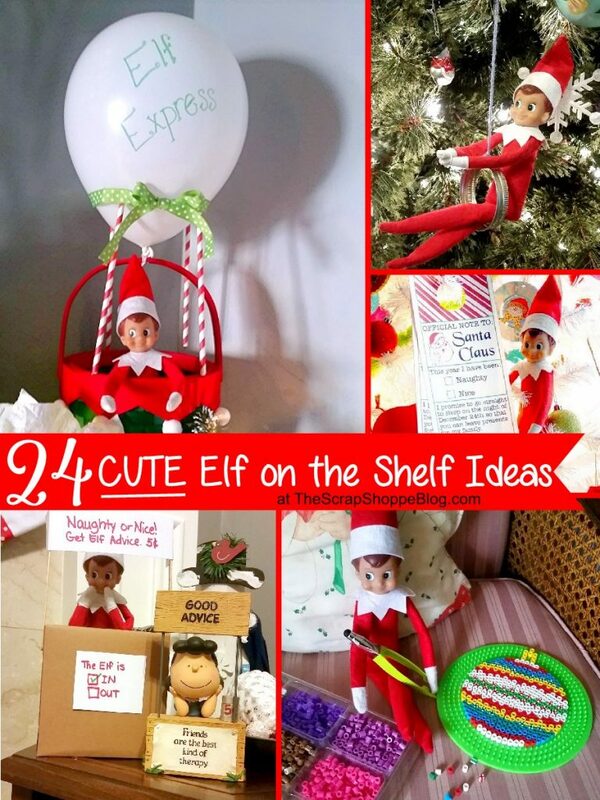 Michele at The Scrap Shoppe inspired us with 24 cute Elf on the Shelf ideas. Life have been kind if insane around here. I have been absent from blogland more than I like, but my days for the last month have been full of errands, chores and just chaos. And as you continue reading this post, you will see what I mean. First, I am very late this year getting our home ready for the holidays. I can very well say that Christmas has sneaked up on me. I have been trying to get our home decorated but it is going slow. I have also been trying to finish all the Christmas shopping. with the AC on. 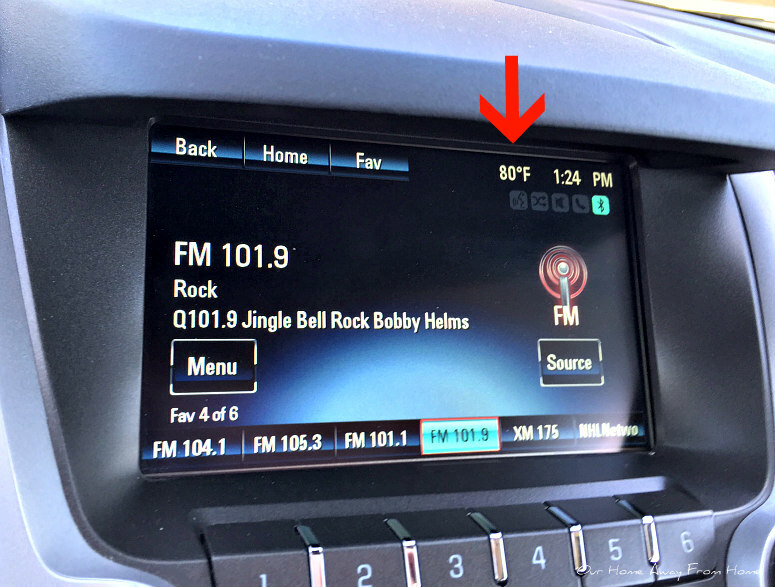 :) Somehow, "Jingle Bells" and 80 degree weather doesn't feel right. But I am proud to say I am fully done and very happy with all my purchases. Yay! 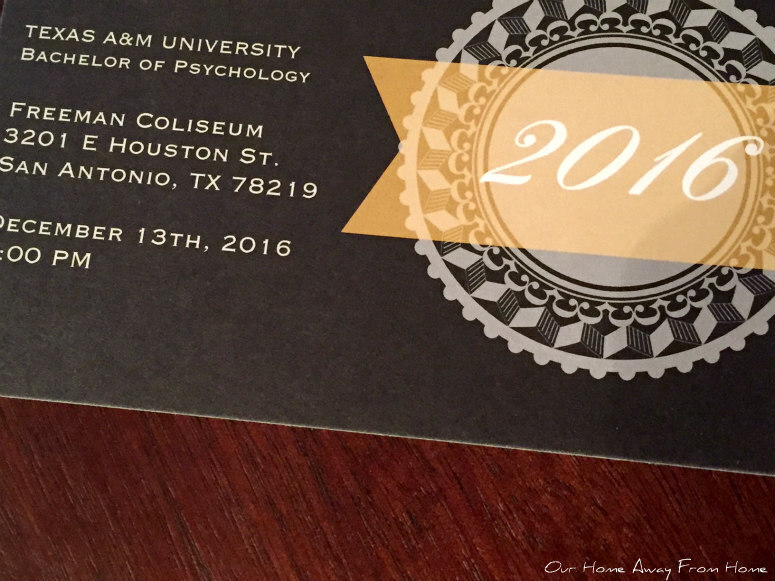 Now I am concentrating on finishing the last details for our youngest son graduation from college. Steven is graduating with honors. 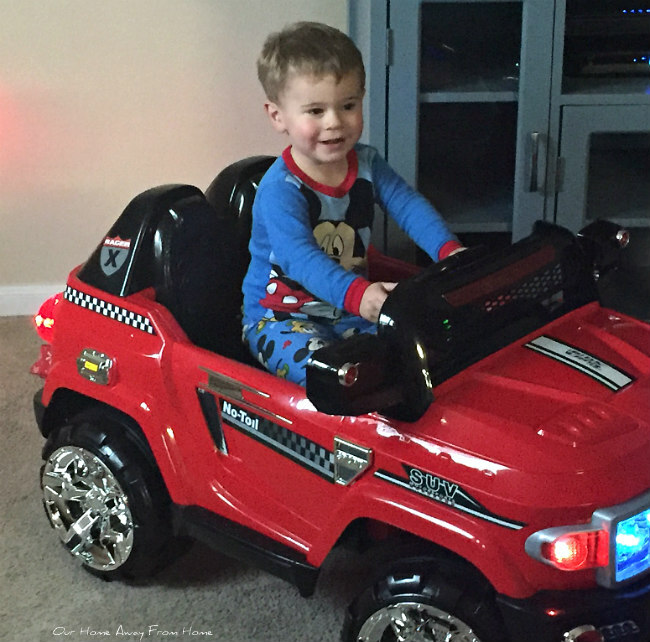 We are so very proud of him! Almost ready for this happy event! And if life wasn't busy enough, things started going down hill two weeks before Thanksgiving when we had some severe storms coming through our city and we woke up to this. 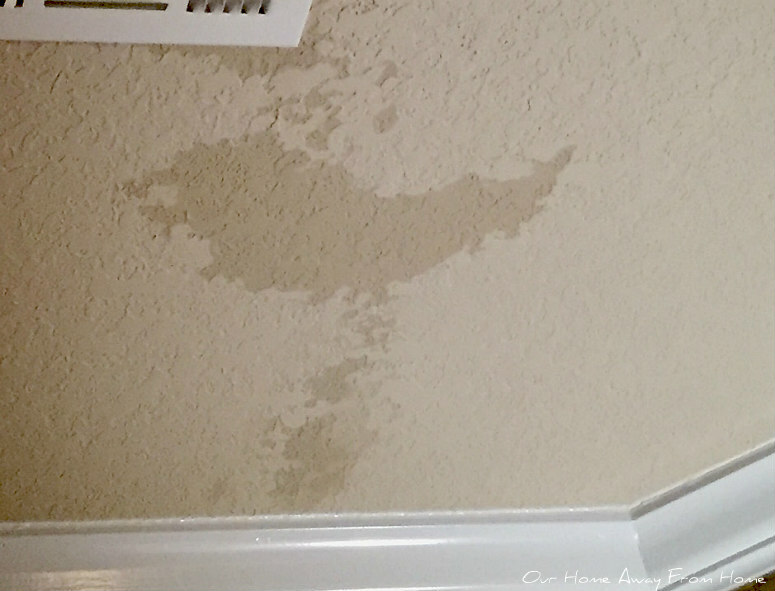 Yeah, that is the result of the brand new roof that was installed just five months ago! 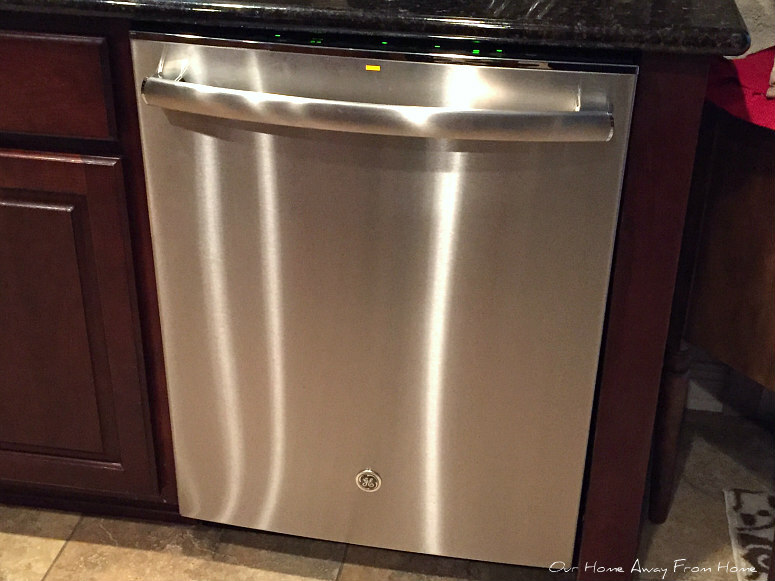 After the repairs, things slowed down for a few days until the Sunday morning before Thanksgiving when our two year old dishwasher decided to call it quits and flood my whole kitchen. The warranty had just expired two months ago. Needless to say, that by the time all was said and done, it was cheaper to buy a new dishwasher than to repair it. So here is the new addition to our kitchen. We are hoping that is the end of things breaking because right now I have my hands pretty full taking care of my husband. He had a serious dental surgery done this past Wednesday after he went to the dentist for a regular routine check up and they found a large cyst on his jaw. Those two hours I spent in the waiting room all alone were the longest of my life. He is having a hard time recuperating and we will have the pathology results next week. Please, keep him in your prayers for good news on the results and for a quick recovery. But not all is going to be bad news. Thanksgiving morning we had the best news ever! Our son, DIL and baby J arrived at our house with a huge cardboard box. Me, being nosy, first thing I asked was what in the world they were carrying in that huge box? 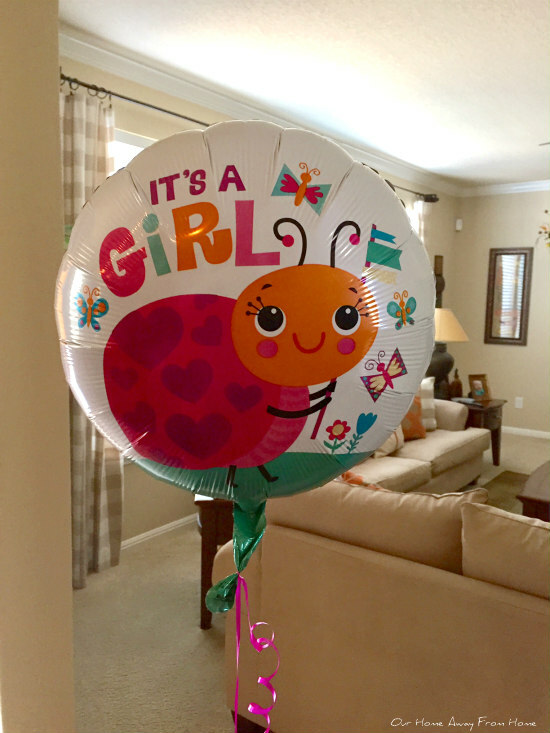 My daughter in law, said "open it, mom" and when I did, this balloon flew right out of the box. It is a girl, it is a girl, it is a girl!!! We were all so happy and excited with the news. We can NOT wait to see her little face! I apologize for not stopping by your blogs and comment as much as I would like. I hope things come down soon and our life will get back to normal. Meanwhile, I wish you all have a wonderful weekend!